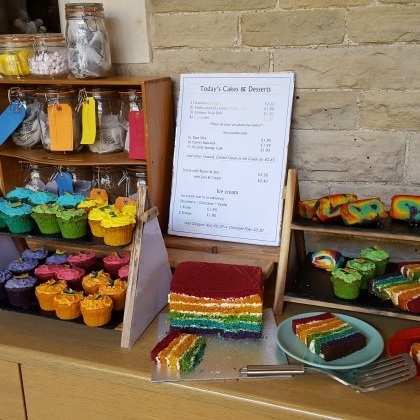 Fair Shares Cafe provides a healthy and affordable assortment of meals, snacks and cakes – all homemade. The cafe is run as an agreement between local charity Eddie’s and Emmanuel United Reform Church, by volunteers some of whom have a learning disability. The cafe's fruit, vegetables and eggs are sourced locally from Cambridge Market and their bacon and sausage are local, free-range and come from the Art of Meat in Arbury Court where the sausages are handmade on site; A Fair Trade shop is available in the café, and offers a tempting array of chocolates, fruit, nuts, tea, coffee and snacks as well as pasta, muesli, jam and other groceries.